Directline Holidays is an online travel agent and tour operatore based in Surrey. The company has five product specific websites for ski, flights, city breaks, cruises and beach holidays. Originally it was a phone-based travel agency but it moved nline with the success of newly launched Directline-Holidays.co.uk in 2000. Working from a database of both big-name providers and niche specialists, Directline Holidays has seen rapid growth and is now among the top ten most visited travel agent websites in the UK. Directline-Holidays.co.uk and its related websites witnessed over 2 million visitors and 10 million page views in summer 2008. • User behaviour when booking a holiday online is complex, distinct and something all travel agents seek to understand better. • Ads were customized so that their colors matched the color palette of their host page. 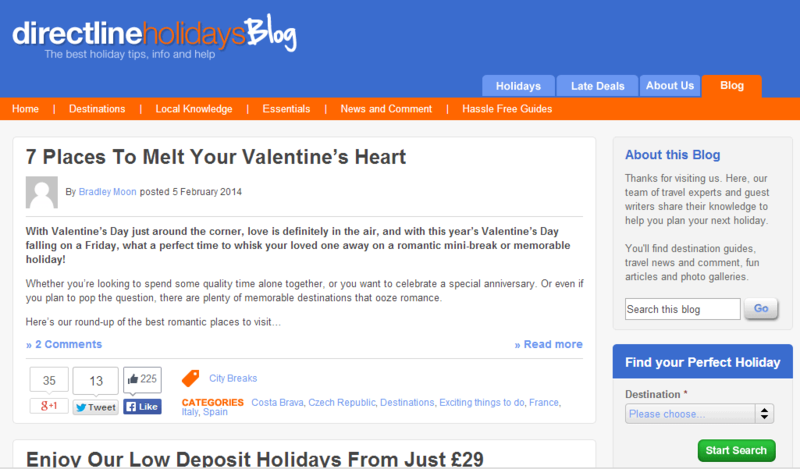 Adsense not only generated significant amount of revenue for Directline-Holidays.co.uk but also helped in generating awareness about their brand.